Fever in a child is a symptom and we should be careful about masking their fever with medicine. In general, viral viruses tend to cause fevers to go higher in the evening and bacterial viruses can be high day or night. It is normal for a virus to cause fevers to go up and down throughout the day and it is the body’s normal response to fighting off an infection. When a child is well-hydrated his temperature will go down, often making them comfortable without the need for Tylenol or Ibuprofen. Medication will merely mask the fever, not cure it, and after the medication wears off, the child’s fever may come back because the virus is still there. The best thing you can do for your child if they are running a low-grade fever (above 100.4) is to make sure the child is hydrated. When a child is hydrated his temperature will go down, we know this because if the child is not hydrated the fever will not go down. When children are sick and have a fever, they often do not want to eat and that is fine, but it is very important to keep them hydrated by offering fluids. If a child is not urinating, crying, or producing tears, they may be dehydrated. A young child should urinate every 6 to 8 hours, while older kids can wait ten to twelve hours between urinations. Have them sips teaspoons of Pedialyte and water about every fifteen to twenty minutes. Offer popsicles, jello and broth. Let them choose whether they prefer something hot or cold. Don’t offer tea or caffeinated drinks as they can cause more dehydration. Young children can quickly become dangerously dehydrated, so if you think your child shows signs of serious dehydration, take them to the emergency room immediately as they may need to receive liquids through an intravenous (IV) tube to become rehydrated. Remember, a fever is just a symptom and its presence doesn’t give us any clue to the nature of the infection or how severe it will be. Some experts believe our efforts to bring the temperature down go against the body’s tendency to keep a higher temperature while the immune system is turned on. If the fever lasts more than three days, you should make an appointment to visit the doctor. 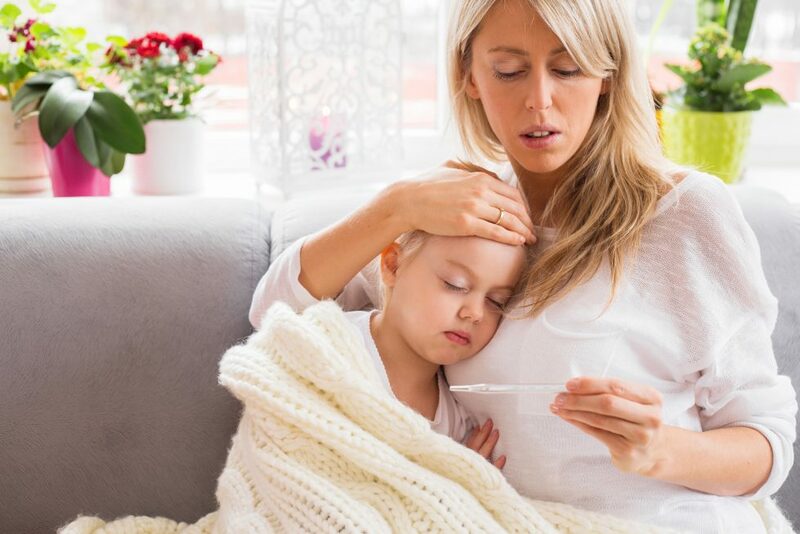 What Should I Do When My Child Gets a Fever?